[www.inewsguyana.com] – The Antigua Observer has reported that Leeward Island Air Transport (LIAT’s) Chief Executive Officer Ian Brunton, has resigned. According to the Observer, Brunton resigned last week and the LIAT Board of Directors is to meet this Wednesday to make a decision on whether to accept it or not. St Vincent & the Grenadines Prime Minister Ralph Gonsalves has refused to say whether, as the Head of a shareholder government, he will accept the board’s decision on Brunton’s resignation. 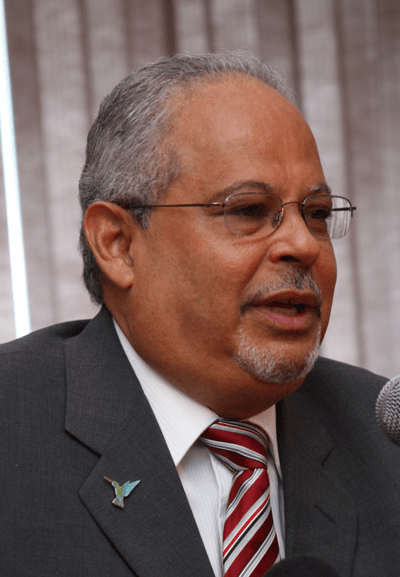 Brunton, a Former Chief Executive of Trinidad & Tobago state owned Caribbean Airlines Ltd (CAL) was appointed CEO of LIAT on August 1, 2012. His appointment came during a period of massive sustained losses for the airline – a combined amount of almost EC $80 million in losses from 2010 – and a deficit of around EC $344 million by the end of 2012. Brunton has been leading a US $100 million re-fleeting process from ageing Dash-8 aircraft to ATR’s – which is designed to help move the airline back into profit by lowering maintenance and fuel costs. The Prime Minister of St Vincent & the Grenadines commended Brunton for making a good contribution to LIAT and said it would be hard to find a replacement if the resignation is accepted. LIAT is a regional air carrier based in Antigua. LIAT’s three main shareholder governments are Antigua & Barbuda, Barbados.